We have featured quite a few retro inspired gadgets here at Geeky Gadgets, but this has to be one of the coolest so far the TDK Digital Boombox. 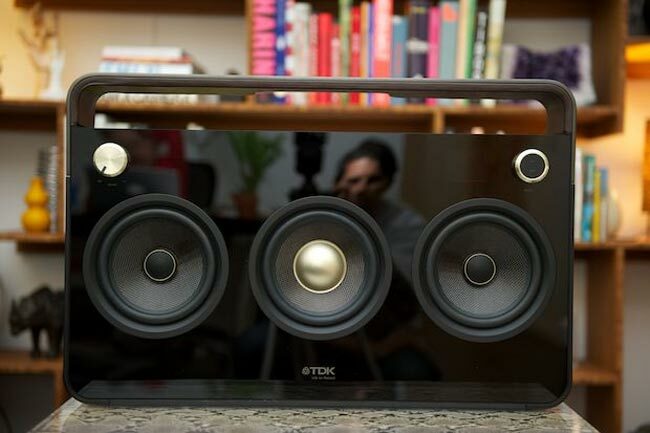 The TDK Digital Boombox features a built inAM/ FM Radio, plus two 10 watt speakers and a 15watt subwoofer on the front, it also comes with a range of touch sensitive buttons for controlling everything. As well as the FM radio you can also play music from your iPhone, iPod or MP3 player on the TDK Digital Boombox as it comes with a range of connectors which include a USB port, 3.5mm audio jack and an RCA port. 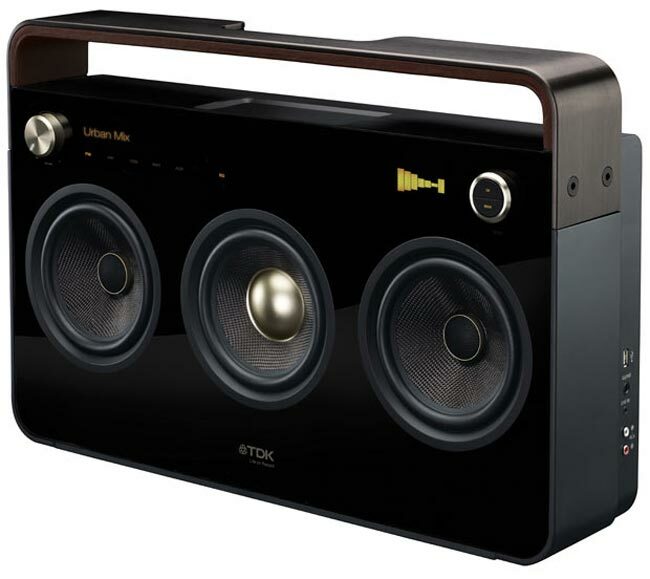 The TDK Digital Boombox will be available in January 2011 for $499, there will also be a two speaker version available for $399.